Between muddy boots, backpacks, and a perpetually dirty dog, our mudroom was a mess. 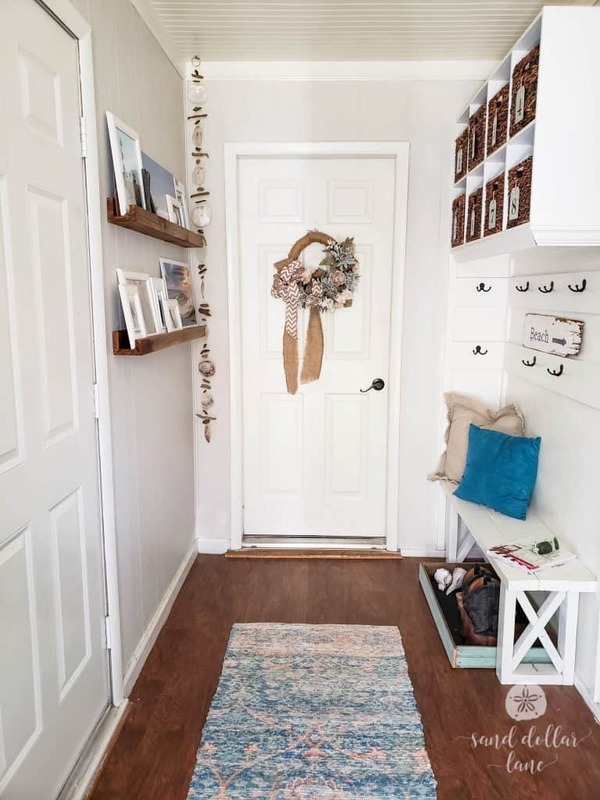 Now that it’s had a mudroom refresh it’s one of my favorite spaces in our home! 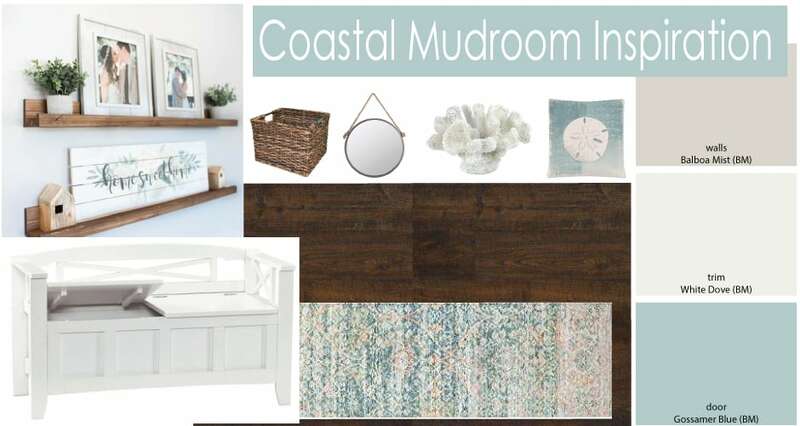 Last week I showed you the moodboard I created for our mudroom entryway. I am so glad to have this space updated and refreshed! 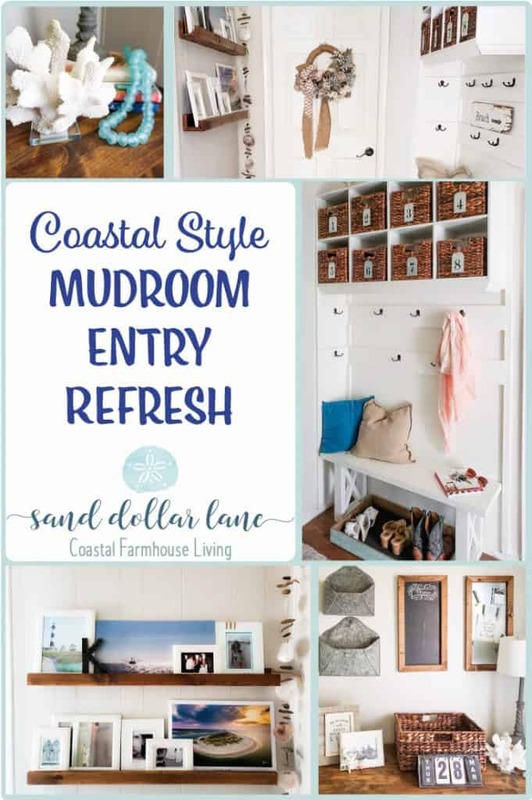 If we’ve been friends a while you may remember our last mudroom refresh way back in 2010! You can see the post here if you promise not to judge, remember it was 9 years ago! Blogging has changed and my photography skills have improved a bit! Side note- look how little my babies were! Oh how I miss them being tiny! Last year we did a little sprucing up by adding a command center to try to corral the paperwork, keys, etc. I changed this space up just a little by adding a basket to catch kid’s papers, mail, things that my family is too lazy to put in it’s correct spot, etc. 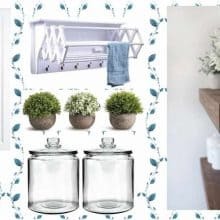 Some decorative items and a couple personal touches had this area of our mudroom refresh done quickly! 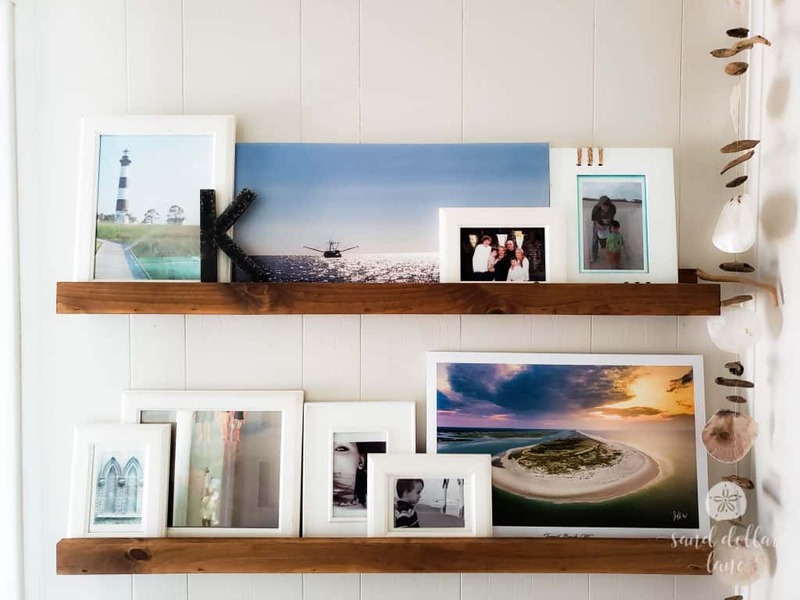 Since our mudroom is the way most people enter our home, I wanted to display photos of the people and places I love the most. We built these photo ledges and stained them the same color as the top of the command center stand. 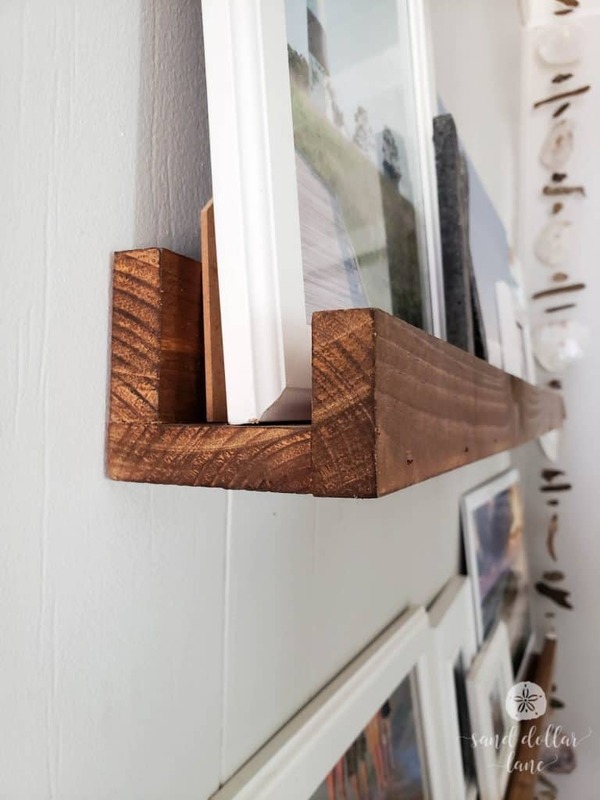 They were pretty easy to build and install but if you aren’t looking for a diy project you can purchase similar Photo ledges on Etsy. 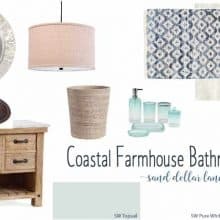 I love that the photo of Topsail Beach (bottom right) matches our Safavieh Runner perfectly! 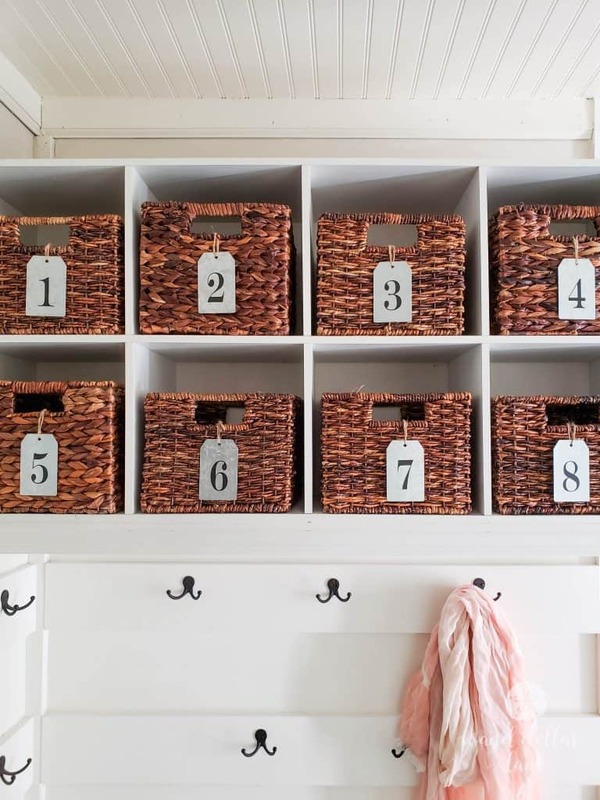 In a room this small that works this hard, storage is essential! We built the cubbies using a bookshelf and mounted it on the wall. I added cute baskets and made tags for them. I may add initials on the back because I can’t keep track of which basket belongs to whom (Penny the dog has two!) . We built the bench using plans from my friend Sandra (Sawdust girl). Her plans are great and easy to follow. A few well placed trim pieces, hook and paint and this section was done! I popped a wreath on the door, added hooks for our keys to the side of the cabinet we are currently using as a pantry and added a sheer curtain to the door. Leen! 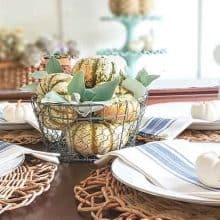 So glad you joined us at Homestyle Gathering! 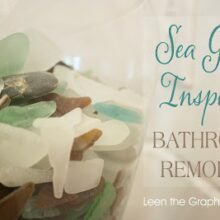 Love what you have done here, and all the wonderful inspiration for a coastal home! 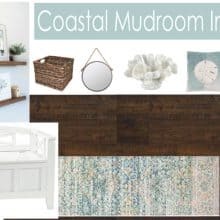 I pinned this to my Best Coastal board! Just letting you know that you are one of my features this week at Homestyle Gathering. 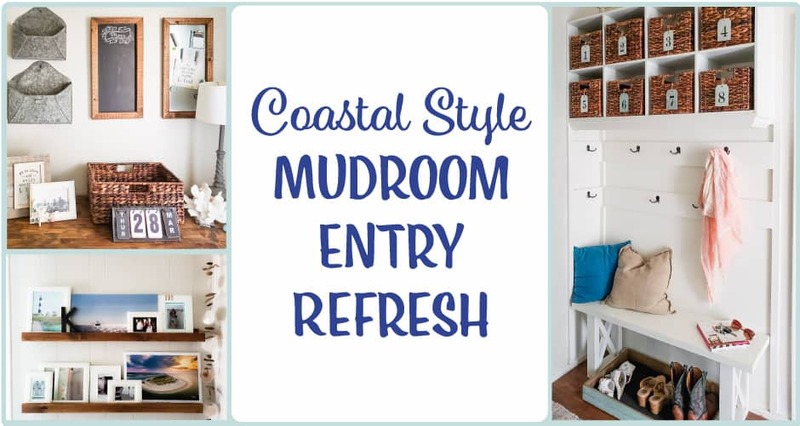 I love how you refreshed your mudroom! 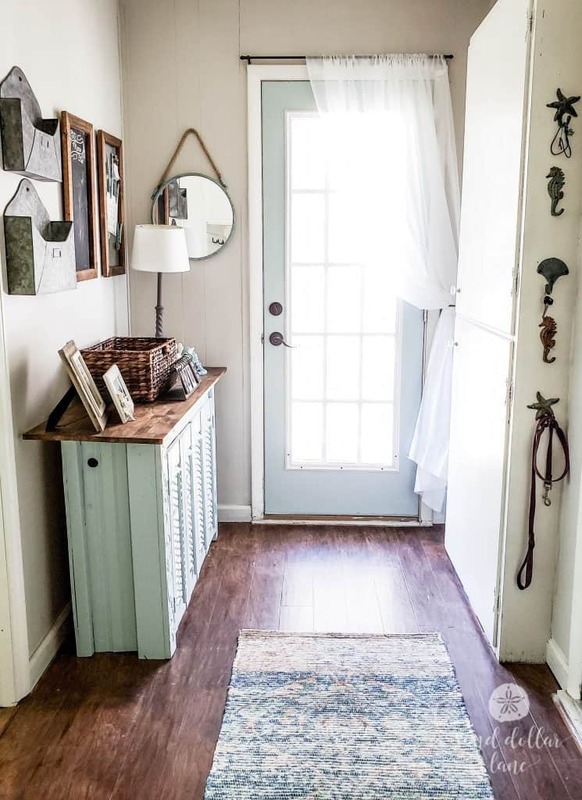 What an inviting space to walk into when you come home. Thanks so much for joining us and sharing your makeover at HG. Please come back and join us this week. 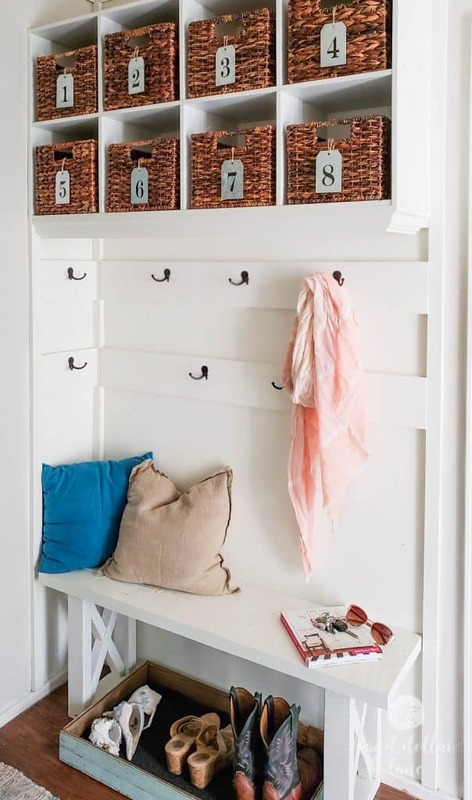 I’m off to pin this to my mudroom board! What an honor, Kim! Thanks so much! This is such a lovely space!! What a room to come home to! That ceiling makes my heart sing! 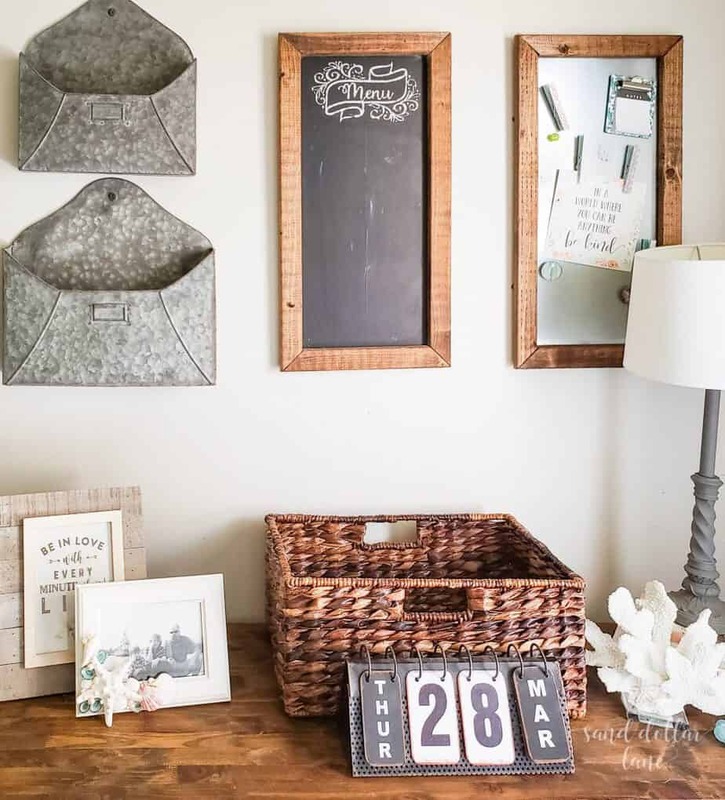 Is it bead board that comes in 4′ x 8′ pieces? It looks so good! Thanks Cindy! 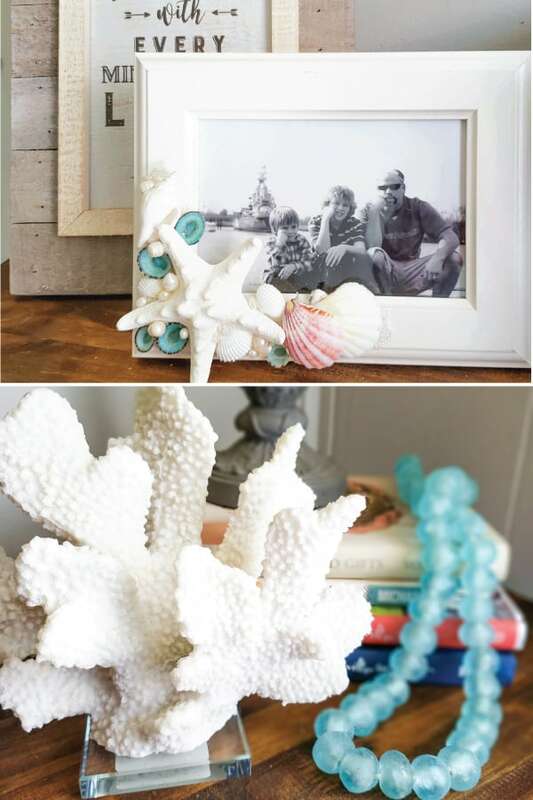 It’s nice to have a pretty space where we can drop everything! 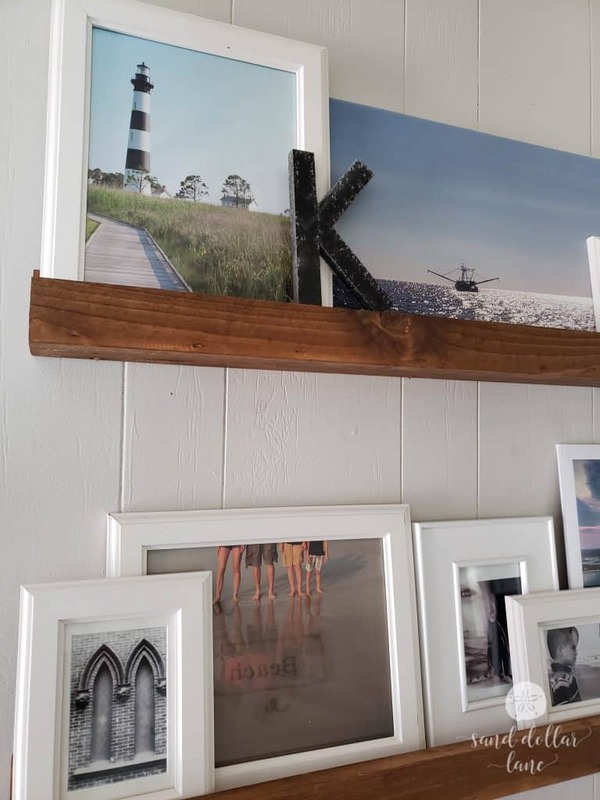 Yes, that’s just a sheet of beadboard, super easy to do. When we moved in this space was one large room like an office and it had drop ceiling tiles glued to the ceiling. It wasnt pretty!